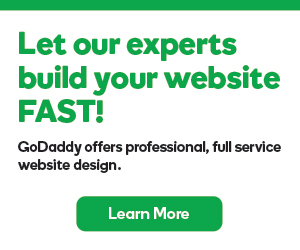 A Certified Domain lets people know that GoDaddy has formally certified the domain's registration. Read on for answers to your questions about getting started with domain certification. A Certified Domain provides visible evidence (in the form of the Domain Origination Certified seal) that a domain has been validated and its registrant's credentials have been verified. For this reason a Certified Domain is useful to owners of business websites and other sites that offer transactions and other activities of a sensitive nature. All site owners, however, can improve their site's legitimacy and trustworthiness by displaying the Domain Origination Certified seal. How can I add Certified Domain to my domain? Certified Domain can be purchased directly through our main menu. When you purchase this service directly, you are asked for the domain name (whether already registered or a new registration) for which the certification will be requested. When you complete the purchase, we automatically issue a request for validation of the domain and the certification process is on its way. From the Domain Manager, you can upgrade an existing domain to include domain certification. Click Setup Account next to the New Account you want to use. In the Domain field, enter the domain name you want to certify. Click OK twice to complete the request. Regardless of the method used to request domain certification, the verification process starts immediately. For the next step in the certification process, see Certified Domains: Authorization and validation process. Note: Certified Domains are currently unavailable for .au domain names. Can I apply Certified Domain to ANY domain? Anyone who has a domain registered with us can apply for a Certified Domain and the domain being certified must be registered through us. To successfully process the application and issue the seal, however, we must be able to verify that you do indeed control the domain in question. We also must be able to verify your contact information through our telephone verification process. NOTE: The automated message that is part of the telephone verification step is provided in English only. The requester, therefore, must be able to understand the message to perform the necessary actions. What duration is a Certified Domain? Currently, we offer Certified Domain validation for domains registered with GoDaddy for one-, two-, three-, four-, five-, or ten-year durations. NOTE: Once the certificate has been issued to your domain, certification will lapse when the associated domain expires or if the certification is not renewed on its expiration date, whichever occurs first. How do my customers know that my domain is certified? When domains pass our validation process, we add a Domain Origination Certified seal to the domain's Whois listing. You can also add the seal to the website for the certified domain, showing website visitors that the domain passed GoDaddy's validation process. What's the difference between Certified Domain and an SSL Certificate? An SSL certificate enables a secure, encrypted connection between a visitor's Web browser and a website's server and keeps transactions safe from tampering and interception. A Certified Domain shows website visitors that the registration and control of the website's domain name were validated. A Certified Domain does not establish a secure connection and it does not provide credit card transaction processing. Both SSL certificates and Certified Domains include verification of the requester's contact information and domain registration control. What is the Domain Transfer used? What are advantages of it? What is Domain Buying Service? What happens to domain privacy when transferring domains? my domain is canceled, what can i do? You’ve registered a domain name. Now what?